Wedding season is coming quickly. The warm weather will finally be here and brides are already shopping for the best stylist for their wedding day. Nailing the hair trial is very important. This one appointment can bring lots of business to your salon. Brides bring lots of business! 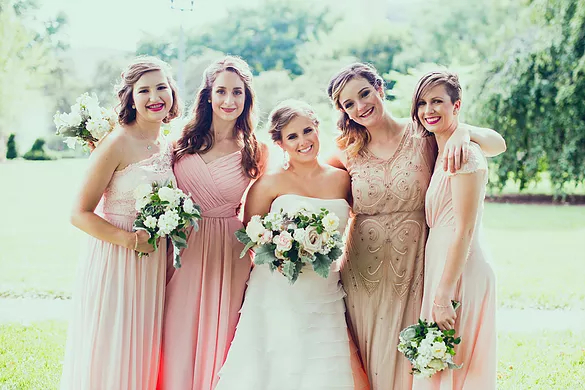 Not only are they looking for someone to style their hair on the big day, but they are looking for someone who can also work with their bridesmaids. The opportunities are endless. The bride will also need an appointment for her hair color, cuts, bridal shower hair, rehearsal hair and who knows what else. Recently, brides have been very interested in hair extensions. Whether the extensions are clip in, tape in or beaded, the business is there and ready to be picked up by you. The hair trial is a time when you (the stylist) gets a chance to show the bride what her hair will look like on the day of her wedding. This is a day she has dreamed of. It is your job to show her that you have what it takes to exceed her expectations. Need to work on your skills or how to nail a hair trial? Book your workshop! For less than what you can make from one bride, GoodeHair Workshops can help you to proceed with total confidence and rock that wedding day hair!